A medal so far out of this world it made it to the next galaxy! The Stencil Cut Volleyball Medal has a brushed bronze finish featuring a volleyball net and ball in the center and star cutouts around the rim. 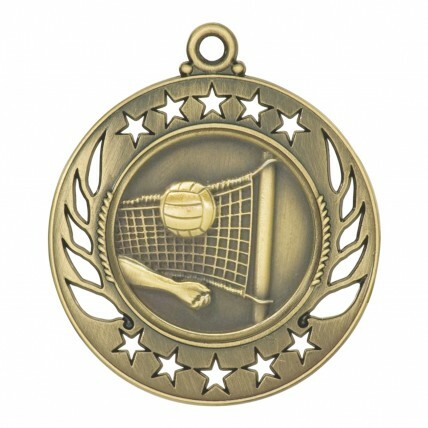 A medal is the perfect award for large teams or events, mixed gender teams, and older youth with less space for trophies!